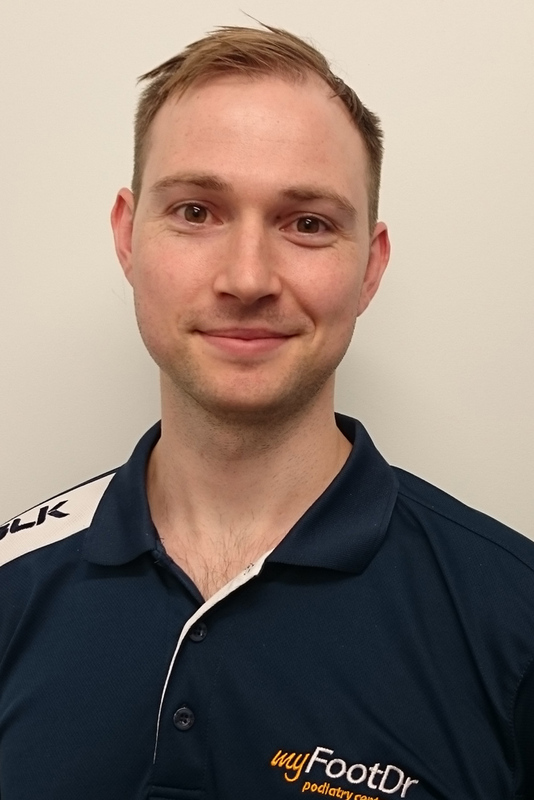 Sebastian, born in Toowoomba, graduated from the Queensland University of Technology with a range of interests and experience including biomechanics, paediatrics, sports injuries, diabetic foot care and nail surgery. After working in our Camp Hill and Shailer Parkpodiatry clinics, he now leads the team at My FootDr Indooroopilly. He is a member of the Australian Podiatry Association, Sports Medicine Australia, Diabetic Foot Australia, Wounds International and the Australian Prescriber. Sebastian strongly believes in innovation and evidence-based medicine to provide optimal care and treatment for his patients. His continued professional development exceeds national guidelines. Providing world class foot care is something he is passionate about. Outside of podiatry, Sebastian is a keen cook, which fuels his love of surfing, fishing and powerlifting.